This article continues on from Part 3 - Development Environment and Title Screen. The Microbee on the other hand relies on a software routine to pass the key code of interest to the the 6545 and then waits for a response indicating whether the key is pressed. I located the following routine when I was working on fixing up the Galaxy Invasion port, so I just grabbed a copy. (I think this routine may have originated from the BASIC ROM, but not sure). See also Microbee Keyboard Scancodes. That's a fairly simple example. Some of the other areas involved some convoluted bit manipulation so for the moment I just disabled it and I'll sort it out later. There was also some IN (0x13) - I don't know what that's for, but guessing joystick support. Again, for the moment I've just disabled that code by commenting it out. The other thing I did here was change the instructions from "<CLEAR>" to "<ENTER>". Those trails running down the screen are the exploded ship particles not getting cleared away. Confronted with the above I decided to attack it from the simplest issue and work up, the theory being that progressively better understanding of the code will help with the harder problems. The simplest problem I could spot was the player's score was flashing between "0" and "-", instead of just flashing. I started by trying to locate the code that prints the score and came across it pretty quickly (it's almost the first thing that's done when the game starts). 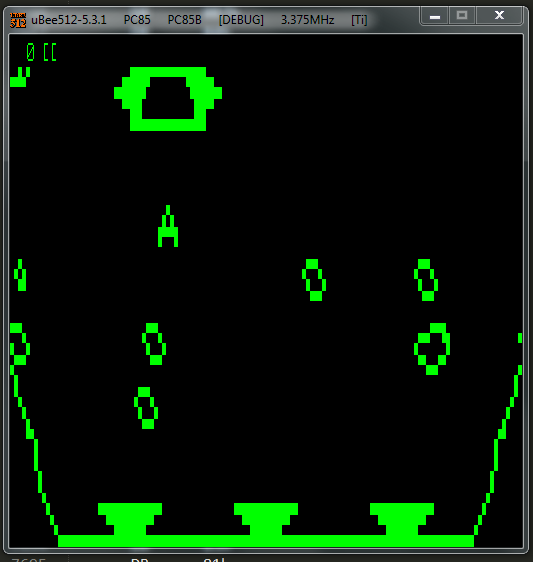 The same fix for player 2's score and one problem was sorted. Next I tried a number of different approaches to get to the bottom of the messed up graphics. I wont detail it all here because it was all a bit haphazard, but I tried things like just reviewing for mistakes and various debugging approaches with ubee512's debugger. So 0b7h and 06fh is actually another hard coded address of 0x6fb7. ie: IY is loaded with L522F + A * 4, or every second word from that address onwards is a pointer that needs to be updated to a label, as shown below. Obviously the fourth one is unused and someone had a sense of humour. By way of explanation, it looks like these addresses are references to bitmap image data and explains why the meteors looked all wrong. In doing all this work, it's often necessary to convert from physical addresses (ie: after relocation) to source code locations (and vice versa). 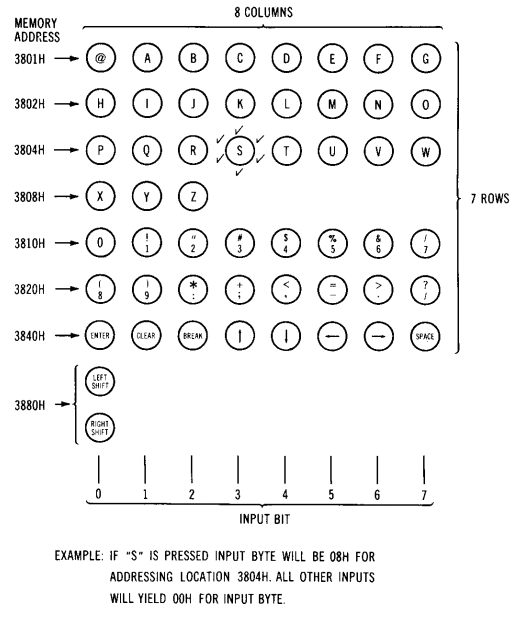 The easiest way to do this is with z80asm's --list option that writes out the physical locations. For example if I wanted to set a break point on function L453D I'd need to look it up in the listing file, where I'd see its physical location is 0x0943. The listing file can also be used to translate physical address discovered in the debugger back to source code locations. Another thing to note, is that it's helpful to have the program relocated to far away from it's original location as it makes it obvious which address space a location belongs to and helps reduce confusion. So it's getting there! There's still a few issue with the current display - notably the corrupts score indicators on the score pad and the weird bounding flagship in the top left corner. 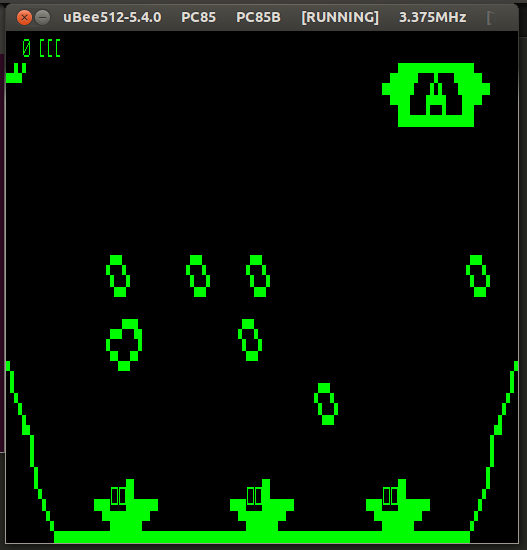 Porting Meteor Mission II to Microbee continues with Part 5 - Improving the Debugger and More Keyboard Work.